Aloe Blacc has pursued a multi-faceted career as an underground MC, neo-soulster, EDM star, actor and grassroots activist. And 2019 should be a big year for him. The stylish Blacc was born Egbert Dawkins III in California to Panamanian parents with a rich Caribbean heritage. He was a musical kid, learning trumpet before fixating on hip-hop. Initially, Blacc chose an academic path – and, after studying linguistics and psychology at college — worked in the corporate sector. Meanwhile, the part-time MC formed the hip-hop outfit Emanon with DJ/producer Exile. Ultimately, music took over. Blacc morphed into a socially-conscious singer/songwriter with 2006’s credible solo debut, Shine Through, on Stones Throw Records. 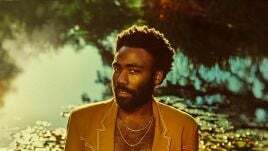 Four years on, he crossed over with the follow-up, Good Things – its bluesy single ‘I Need A Dollar’, synced as the theme to HBO’s How To Make It In America, a smash. The song was so ubiquitous that Connecticut indie rapper Chris Webby slyly remixed it alongside Mac Miller. 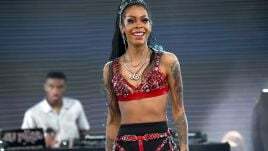 Blacc was offered a management deal by Simon Fuller – architect of the Spice Girls and the Idol telly franchise. Blacc has kept himself busy since Lift… He performed at Imagine: John Lennon 75th Birthday Concert in Madison Square Garden, cameoed in the acclaimed sitcom Black-ish, and presented the IMAX documentary America’s Musical Journey. Through 2018, Blacc shared solo singles, notably the breezy ‘Brooklyn In The Summer’, and various collabs. He recently issued ‘I Count On Me’, used to promote Green Book – the movie now nominated for several Academy Awards, including Best Picture. Blacc even had a holiday compilation, Christmas Funk, boldly reinventing Mariah Carey’s ‘All I Want For Christmas Is You’. Currently he’s planning album four. 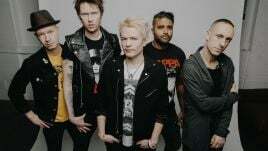 This month, the Los Angeles-based Blacc – last here in October for the closing ceremony of the Invictus Games in Sydney – will play dates such as the Perth Festival, Twilight At Taronga and Zoo Twilights. 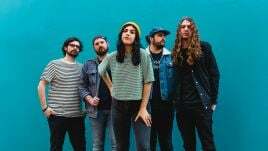 Music Feeds: You obviously have Australian connections here through Maya. I was talking to M-Phazes lately and he mentioned that he stayed with you guys when he was working with Amerie? Aloe Blacc: Yeah, he’s a great producer. Hopefully, I’m gonna start working with him again – really good. MF: I know that you’ve got an album coming – you’ve had a bunch of singles. What can you tell us about it? AB: Yeah, the new music – I’m not sure exactly what direction it will be. I love making music that’s soulful, that leans towards pop, but also has elements of hip-hop and sometimes elements of folk. So it’s kind of a mixture of these different genres – [but] positioning it is yet to be determined. So I’m just writing really good songs – the best songs and the strongest themes that I can – that are, I guess, really potent and will touch people’s hearts when they hear ’em. I find that my music is a lot about motivation and inspiration – and that’s what a lot of the themes have been. MF: You are sort of a disruptor in music, in a way, because I think you were one of the first MCs who started singing. Now that’s not unusual, but it seemed quite novel at the time. How do you feel about the shifting paradigms – the fact that artists are now rapper/singers or even post-rappers? Do you find the changes, the fluidity, interesting? AB: Yeah, I love the genre-mixing and blending. I love breaking that concept of genre and just making new music and interesting sounds and styles that keep the world moving, honestly. Quincy Jones, I think, says it in his documentary [Quincy]: he’s not worried about what genre he’s making, he’s making good music – and that’s what I want to focus on. I find singing helps me to approach ideas and emotions in a different way than rapping. Hopefully, I can take what I’ve learned as a vocalist, as a singer, back to my hip-hop songs and introduce a boost of that sentiment. MF: The style you’ve done that most surprised me was electronic music, EDM, because I never would have envisaged that. You worked with Avicii and then Tiësto (on ‘Carry You Home’). How do you find that world, that whole subculture – because you’ve performed at the festivals as well? AB: It’s a totally different world from what I’m used to nowadays. But, actually, back in the hip-hop days – the mid- and late ’90s, early 2000 – Exile and I, my DJ partner for many years, would be rocking these raves which were basically electronic music events, festivals, with multiple rooms and sometimes they had a hip-hop room. So it wasn’t like it was foreign music to me; it was something I was familiar with. And then on my solo album from 2006, the Shine Through album, I experimented with a little downtempo house and was already kind of in that world. I remember one time – like in 2009, 2010 – I visited Novosibirsk, it’s the middle of Russia, and I was sitting with a friend and on TV I saw this DJ, DJing to a massive stadium full of people. It happened to be Tiësto and I was like, “Yo, what is that about? How is a DJ able to rock an entire stadium like that as the artist?” And that just got me really inspired to work in that genre. MF: Of course, we lost Avicii last year. You would have had a fairly close working relationship with him. How do you remember him personally? AB: I mean, he was super-nice; he was a nice guy and very focussed on music. You know, when I’m around other musicians, a lot of time all we talk about is music (laughs) – and he was one of those guys. And, when we worked together, we were extremely intent and focussed on the sound and idea that were in his head; that he wanted to get out. Working with him, I could see that he truly cared deeply about the music that he was making and not really so much about everything around it – the stardom and the fame and the money. It was really about the craft; the art. MF: There’s a huge debate in music about the relentless touring artists are expected to do, with music sales being as they are – the toll that takes psychologically. There’s a lot of talk about it, but no one’s really putting strategies in place. What would you like to see change in the music industry just generally, as a veteran with some perspective on this? AB: Yeah, it’s a brand-new model. The subscription model [for streaming platforms] that’s in place right now aggregates all music as a commodity, so to speak. It’s almost like corn or beans and every item is worth the same to any particular distributor or purchaser. I don’t necessarily believe that a Joni Mitchell bean is the same value as a Fergie bean. So I’d say, if there is a structure that can accommodate and compensate for quality and value, going forward, that would be the most ideal situation. Napster was way ahead of its time, but Napster created this time and, because of it, it’s gonna come back around to really, really a peer-to-peer-type of situation where an artist can create music and serve it from a distributed network of hosts and will probably be using something like a blockchain technology that’s gonna manage how people will end up paying. It’ll be very seamless – a little paywall. It’ll just be whatever you consume, you end up paying for – sort of like when you run your tap water. MF: It seems ironic that you are known for ‘I Need A Dollar’! But I wondered if you have another song you’ve written that you wished would get that attention; if you have a song you’re particularly attached to? AB: Yeah, one of my favourite songs that I’ve ever written is called ‘Eyes Of A Child’, but that’s not the one that immediately came to my head. The one that immediately came to my mind was [the single] ‘Here Today’ – it’s from my 2013 album Lift Your Spirit. I think it’s some of my strongest songwriting, but it just didn’t have a big pop moment like the other songs did. I believe that a song will eventually have its day. So I think it’ll find a place in probably a film or television sync where it gets visibility that a record label wouldn’t give it, or it normally wouldn’t raise its hand, just ’cause there’s no marketing plan behind it. MF: It’s so arbitrary which songs blow up sometimes. AB: Sometimes! It depends who’s behind the wheel, steering the ship of the artist. There are some managers that are really heavy-handed who can make anything get into the public view, but that doesn’t necessarily mean that it will last. It could be on the charts for a week, but that’s only ’cause someone forced it and then [it falls] immediately off ’cause it wasn’t real. MF: What music are you enjoying at the moment? What was the last thing that blew you away? AB: Oh wow – MXXWLL is an Australian producer who is one of my favourite right now. He released a mixtape [Beats, Vol 1] – I consider it an album – but his productions, his ideas, his musicianship is just top-notch. He’s moving out to LA pretty soon… [California’s] Georgia Anne Muldrow just released an album [Overload on Brainfeeder], which is amazing as well. It’s just new funk, soul kind of – these artists that are challenging rhythm and concepts of song arrangement that pique my attention. I’m sick of… Even the way that I write songs is very kind of rudimentary and simple, it’s still the basic structure – I wanna break all of it and just make something completely new. And those are the artists that really make my ears prick up. MF: I imagine you’ve made trips to Australia on the downlow, just for family. Have you ever considered basing yourself here or have you spent an extended period here? AB: I’ll do one month or a few weeks in Australia. I’ve never really considered basing the family out there with the career being so demanding in the US and in Europe. We come out during the summer time and avoid the rain and cold here so that we can enjoy the sun out in the Southern hemisphere. MF: I know you collaborated with Maya on her album, Never Said Yes, out last year. How do you enjoy working together? AB: It’s good! I mean, I think really it’s up to her when it comes to the kind of lyrics and songs and styles that she wants to do. I’m always trying to push for something that’s gonna be more pop or commercial – and she’s so against it. She’s just really, really all about her message and speaking her truth to power in the artivist way. So I think that’s probably the biggest conflict. [But] most of it is really easy-going when we work together. I do my thing with helping with some of the melodies or with the beats or whatever, but she definitely doesn’t take my pop song ideas. She goes far away from them! 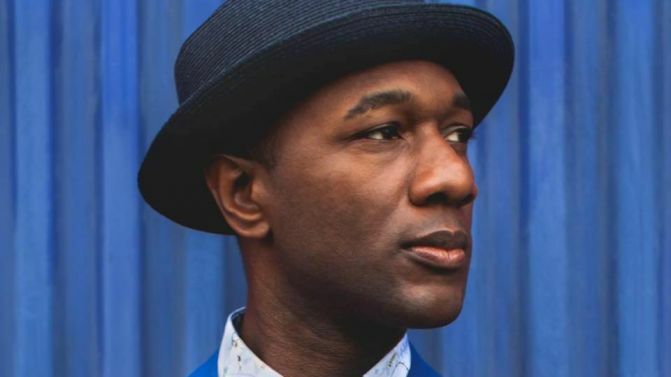 Catch Aloe Blacc’s full list of 2019 Australian tour dates below.